Ontario Ministry of Natural Resources - FTS Inc. The FTS Quick Deploy H-Series is a portable weather station used for temporary event monitoring applications. A simple way to accurately collect suspended sediment and nutrient data. Our team consists of over 50 experienced people in the design, development and sales of weather monitoring systems and products. FTS offers a variety of service contracts for those who wish to outsource service and maintenance to ensure equipment maintains accuracy. The FTS fixed RAWS is the standard for remote automated weather stations used for fire weather monitoring in North America. The FTS Quick Deploy portable weather station is the fire community’s most widely used weather station for prescribed burns and temporary monitoring applications. The FTS Remote Automated Observation System (RAOS) can be rapidly deployed in any environment, giving you the ability to capture and transmit images or video clips over cellular or satellite. Government agency of the Canadian province of Ontario that is responsible for managing and protecting its natural resources, maintaining provincial parks, and monitoring and suppressing forest fires. 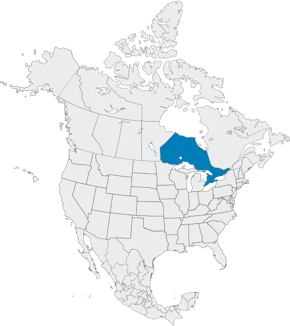 Located in east-central Canada, Ontario is the second largest Canadian province in total area. Most of the province’s boundaries consist of lakes and rivers, including the Great Lakes at the southern border. The terrain in southern Ontario is mostly comprised of rolling hills. Vast boreal forests cover the northeast, and the northern part of the province is characterized by tundra landscapes and is mainly swampy and sparsely forested. There is an absence of any significant mountainous terrain throughout the province. The climate ranges from subarctic in the north to a humid continental climate in the south, generally with warm-to-hot summers and cold winters. The area also experiences dramatic temperature changes due to the Great Lakes, and severe snow and ice storms are common. The climate varies from subarctic in Alaska, tropical to subtropical in southeast, to Mediterranean and temperate along the West coast. 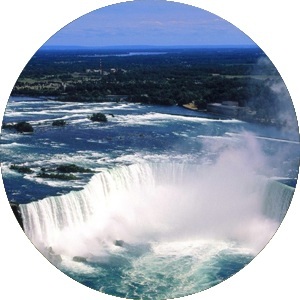 The Ontario Ministry of Natural Resources has been an FTS customer since 1984. Canada’s second largest fire monitoring network, with data contributing towards provincial meteorological and flood monitoring. Stations used for both climate and fire weather monitoring are equipped with additional sensors. Forest Technology Systems (FTS) is a leading manufacturer of remote environmental monitoring solutions including systems, instrumentation and communications technology for the Hydrology, Fire Weather and Meteorology industries. Our equipment forms the backbone of some of the world’s most sophisticated and demanding environment monitoring networks. Our mission is to make our customers successful in their efforts to monitor, record, and analyze changes in the natural environment. © 2019 Forest Technology Systems Ltd.